In the mid ’80s, The Bangles’ brand of catchy bubblegum pop was the antidote to the flashiness of the likes of Madonna or the immaturity of Debbie Gibson. They had a few huge and deserving hits, and then were gone. Susanna Hoffs released a couple of solo albums—the last one in 1996—as well as two collections of cover songs with Matthew Sweet in 2006. Hoffs’ solo efforts have been coolly received, as they attempted to recapture that old Bangle jangle. The Bangles reunited as well, releasing the nostalgic-sounding Sweetheart of the Sun last year. But with her latest, Someday, the diminutive, dreamy-voiced Hoffs appears to have found a new—and fitting—sound. At 53-years-young, Hoffs sounds as pure as ever. The difference is this time it is over a backdrop that is both retro and contemporary, as opposed to anachronistic. There are elements of ’60s lush girl-pop in the string arrangements and bouncy melodies, like a smoother She and Him, but the singer-songwriter feel brings to mind Dar Williams and Shawn Colvin. Most of the songs were co-written with guitarist Andrew Brassell of the gritty indie-rock outfit, And The Relatives, escorting Hoffs into the 21st century. The first single, “Always Enough,” shows just how rewarding well-constructed pop music can be, with its seemingly simple structure that slights off into unexpected directions. The album starts off with “November Sun,” a sing-songy gem that leads with Hoffs’ ageless vocals. There is something refreshing about those first lovely notes. On the first listen, Someday begins to drag midway through, but on repeat plays, more nuances are revealed (a well-placed handclap here, a nice mandolin there). And Hoffs has lost nothing of what made her the fantasy of boys who hit puberty in the mid- to late ’80s. Her voice and looks still have that “come hither” quality. 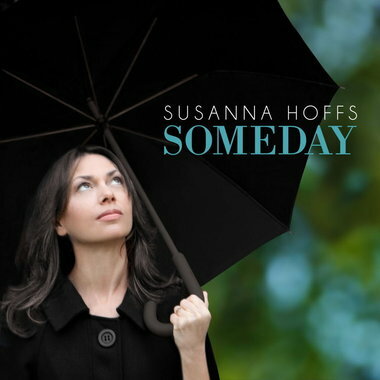 Someday is a departure from anything Susanna Hoffs has done, but it feels like the album she should have made ten years ago. Hopefully, it is a sign of more good things to come.